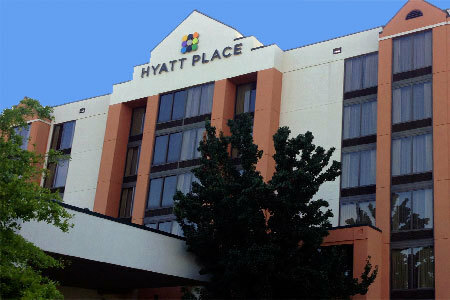 TULSA, OK – Locally-owned Promise Hotels announced the acquisition of the Hyatt Place Tulsa Southern Hills, a 1996 built 126-room hotel located in the South Tulsa Medical District, for an undisclosed purchase price. The acquisition will expand Promise Hotel’s portfolio and market presence. “The Hyatt Place, which has been renamed to the Tulsa South/Medical District, hotel fits nicely into our growth strategy in terms of geography, brand, and quality,” stated Promise Hotels President and CEO Paresh “Pete” Patel. “With our hotel management track record of success, we are confident this hotel will have a solid performance and positive return on investment for owners and first-class hospitality experience for guests.” Hyatt Place was ranked number one select-service brand by Business Travel News’ Hotel Chain Survey in 2012. The 6 story, 75,792 square feet property is located at 7037 South Zurich Avenue, near the corner of 71 st and Yale Avenue close to St. Francis Hospital. Each of the 126 well-appointed guestrooms features a 42-inch HDTV, the Hyatt Grand Bed, and an extra-long 7-foot sofa. Complimentary Wi-Fi access is available throughout the hotel. The 1,100 square feet flexible meeting space accommodates groups up to 75. “At Hyatt Place, we combine style, innovation, and 24/7 convenience to create a perfectly seamless stay with every modern comfort you deserve,” expressed James Cunningham, COO at Promise Hotels. ABOUT THE COMPANY: Promise Hotels Inc. is a privately-owned, community-minded hotel development and management company based in Tulsa, Oklahoma that staffs over 300 associates in the metro area. They specialize in providing management services and investment opportunities in the mid-scale market. Currently, Promise Hotels owns and operates 10 hotel properties in the Northeast Oklahoma. They hold licenses with the following top franchise companies: Choice Hotels International, Hilton Hotels Corporation, Hyatt Hotels, Intercontinental Hotels Group, and Wyndham Worldwide. Their brand portfolio includes Hampton Inn, Hilton Garden Inn, Holiday Inn Express, Hyatt Hotels, Clarion Hotels, Comfort Suites, Comfort Inn, and Quality Suites. They also hold licenses to develop future hotels with several top brands.